So what are Amercians Buying? Here is a quick summary of what Americans are buying. Pete Veres and Sean Hellmann want to share these latest stats. If you are thinking about buying or know someone that is considering taking advantage of the low interest rates please contact Sean Hellmann or Pete Veres with Re/Max Elite and the Elite Asset Management Team. We have excellent resourses for great loan programs to include First Time Buyer loan programs, investor loans, conventional loans and VA Loans. We are ready to help you at anytime in this great Albuquerque Real Estate Market. Pete Veres and Sean Hellmann would like to share the video with you. RE/MAX Chairman and Co-Founder Dave Liniger reveals his Top 10 Predictionds for the 2012 US Real Estate Market. Some great stats! Many of the statements within this article I find true in the local Albuquerque Real Estate Market. The inventory of homes in the Month of December was at its lowest point that our team has seen in years. 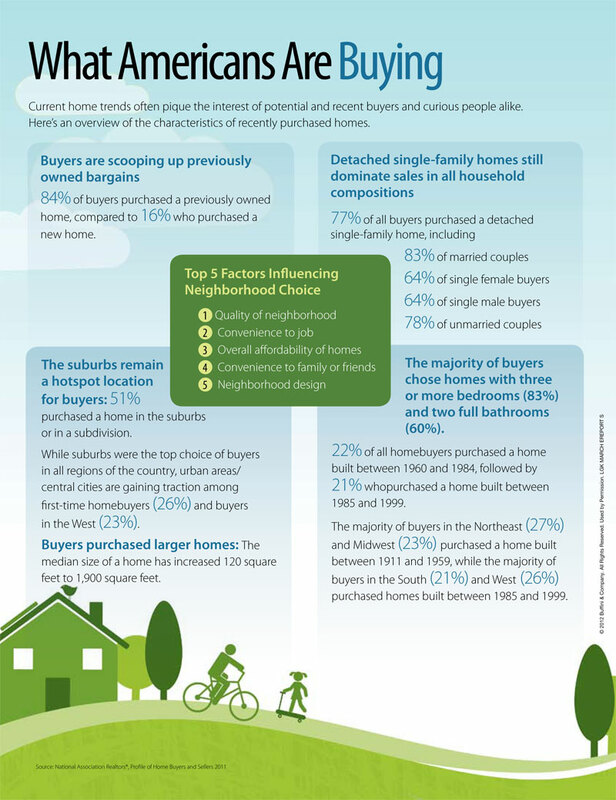 There are many factors for this, but all signs point to a healthier inventory of homes based on demand. It is true that distressed sales are on the rise in the local area, but many of those properties will require some investment to improve those properties in order to move into or to attain them as investment properties. Non-distressed properties are still selling and the decline of price is not as significant as many people may think. Non-distressed properties are great options for many buyers because they simply do not want to invest the money or time into fixing up a property. Our team hope you enjoy this article and hope it brings you some insight to how our market will evolve during 2012. If you have any Real Estate needs feel free to contact Sean or Pete with the Elite Asset Management Team. 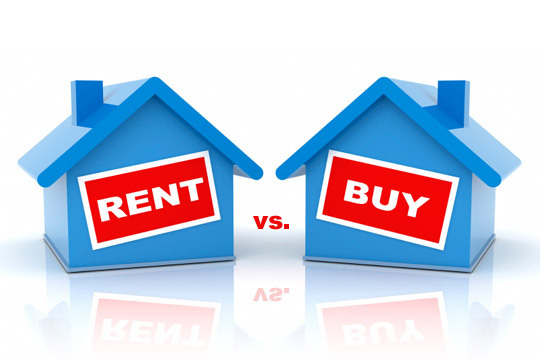 Why should you Buy a home vs. rent in the current state of the economy? If you are following the news on the economy it would be enough to scare you into hiding. Many clients that I work with are always asking why buy instead of rent when the economy and real estate market are experiencing the worst markets in history? I have some answers that might make you consider that this is the time to Buy in the Albuquerque Real Estate market instead of Rent. Recently, I was reading some interesting articles that may encourage you that Buying a home and paying a mortgage is one of the best investments still out there. In a recent Wall Street Journal article: http://online.wsj.com/article/SB10001424052970204774604576629443313035736.html one of the growing trends around the country and now in the Albuquerque Real Estate market is that a mortgage on a home is becoming more and more affordable compared to renting. For example, a $250,000 mortgage in the Albuquerque area could cost you $1700 per month and that is assuming you only put down 3.5% and do an FHA loan. Other loan programs could lower that monthly payment. To rent a comparable home in Albuquerque you would look at spending anywhere between $1600 to $2000 per month. There are many positives to buying a home and the short list is; tax incentives, building equity and home ownership. Check out this article in Forbes Magazine that discusses some good examples how owning a home and paying a mortgage can improve your retirement: http://www.forbes.com/sites/financialfinesse/2011/10/13/the-next-mortgage-crisis/. My personal belief is that many buyers are savvy enough to realize that this is one of the best times to buy a home. The Albuquerque Real Estate market is one of the most affordable markets in the country and with interest rates combined this is a great time to buy. If you are still wanting to weigh your options feel free to give the Elite Asset Management Team a call. Our Team would like the opportunity to share some of the best bargains in the marketplace. Reports of foreclosures by the millions have been in the news so much over the past few years that to some, it might seem like the new normal. But as a real estate professional who is in the trenches with financially stressed homeowners every day, it never for a second feels to me like business-as-usual. Our Real Estate team specializes in the Albuquerque Distressed Sale market and we have been helping families with this type of struggle since 2007. Unfortunately, the first stage of grief is denial, and that’s even more the case when the threat of foreclosure is looming. No one wants to talk about or admit financial troubles—even when millions of others have found themselves in a similar spot. It’s completely understandable, but for homeowners who are behind on mortgage payments, decisive action is often the most critical step toward ensuring the best possible solution. As a real estate professional in the Albuquerque Real Estate market who has sought out the Certified Distressed Property Expert (CDPE) designation, our team helps homeowners to deal with every aspect of the grief and uncertainty that accompanies a mortgage which is no longer manageable. In the process, we help them to get on a path of financial solvency. If you or someone you care about would like to change the course of a life that’s facing foreclosure, our team gets it and we can help. Contact Pete or Sean with the Elite Asset Management Team at info@nmelite.com or call Sean at 505-453-3002 or Pete at 505-362-2005. Our Team is here to help with anyone that is facing foreclosure. The Elite Asset Management Team is pleased to announce the release of our new website www.EliteAssetMgtTeam.com! We are very excited because this website features many new features for Buyers to search for properties in the Albuquerque and Rio Rancho area. There are many Buyer Reports and tools to help educate the buying process and also easy search features when looking at Albuquerque Real Estate. In addition, we have some tools and reports for Sellers to utilize. There is a Home Values button at the top of the website that helps Sellers request a Free Market Analysis. Other great features is the Listings By email that Buyers can sign up for and receive on a daily basis. This search is also specific to the Buyers search criteria and you can select what criteria you want when searching for Albuquerque Real Estate. Buyers can also select the Bank Owned button that allows buyers to search for Bank Owned property in a specific price range. Past clients and current clients can sign up to receive our Monthly Newsletter that will be updated monthly and will have some great Real Estate information ranging from topics about home mortgages, Albuquerque Area Foreclosures, Short Sales, and updates on the Albuquerque Real Estate Market. In you know anyone that can benefit from using our website please pass the link on to your friends and family. The biggest compliment we can receive is a referral and we will provide that same level of service you experienced with us in the past. We look forward to hearing from you soon and please let us know your thoughts about our new website.